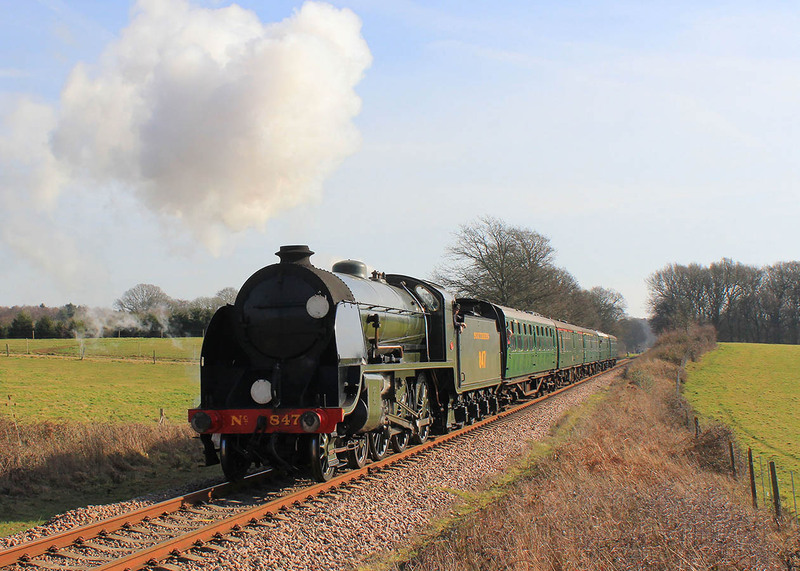 Blog: What's New at the Bluebell Railway? Why not Bookmark this page (or add to Favourites), and come back regularly to check the latest changes. N.B. It may be worth refreshing/reloading this page in your browser to ensure you have the latest version. Photographic submissions for inclusion on this page are welcome. please inform me if you do not wish this to occur. Note: Throughout this site most of the photos can be clicked to give a larger image. 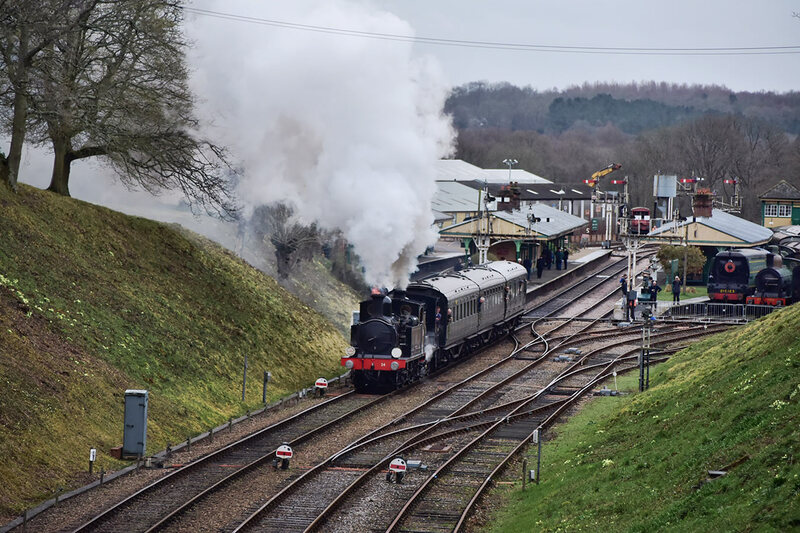 This comprehensive Photo Report covers the visit of LNER B1 No.61306 'Mayflower' on 23rd March's Steam Dreams Railtour. The report features a huge selection of great photos! 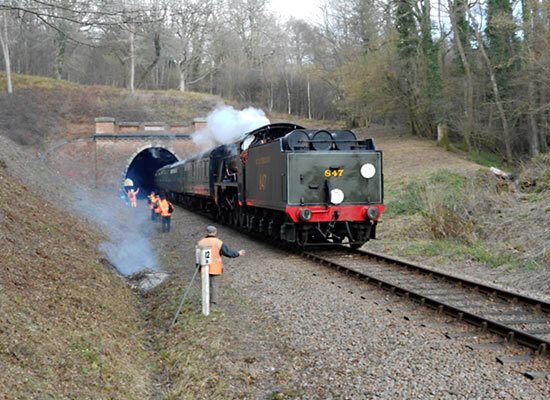 Steve Lee's photo here shows Mayflower heading the Bluebell portion of the tour at Vaux End, climbing towards the tunnel. 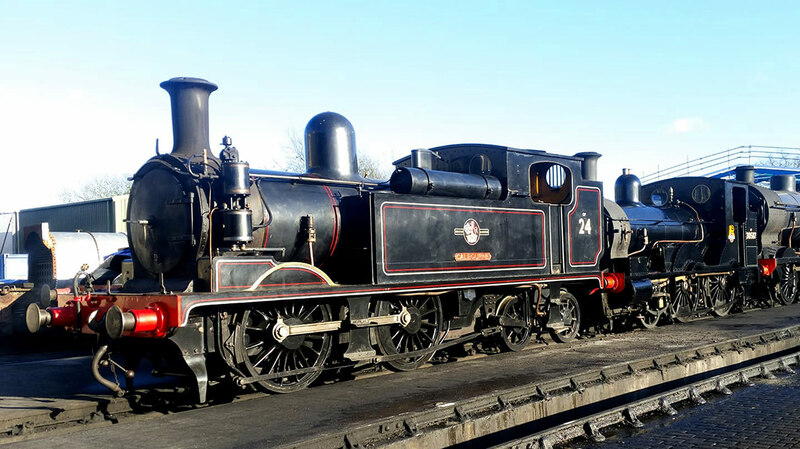 We are running our peak Service Three Timetable every day through to Easter Monday, 22 April, with two or three locomotives in steam every day. Buy your tickets in advance for a discount, or turn up on the day and purchase them at any of our stations on arrival. Video of the visit from Bluebell Railway Hawks. The Great Northern Railway Directors' Saloon is running this weekend, for private parties, but is in public service over the four days of the Easter weekend. This News Update also includes an appeal for new volunteers to join in helping to crew the saloon. 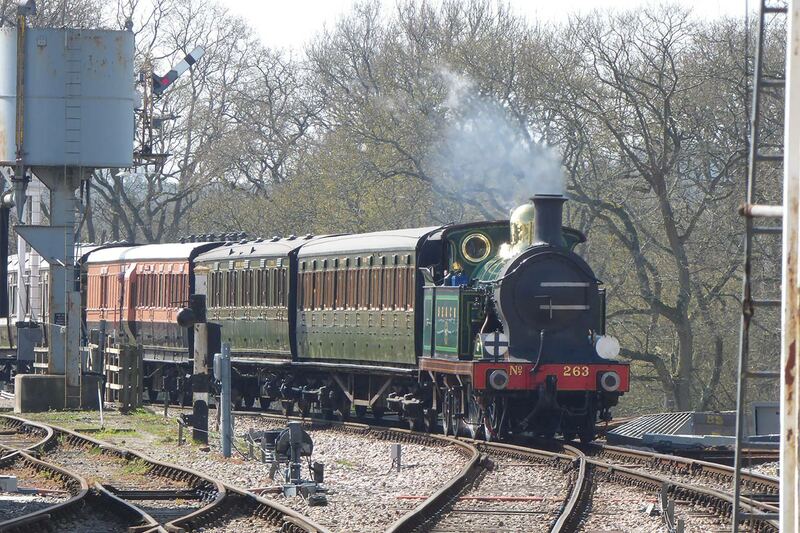 Brian Lacey's photo shows the Q and S15 passing at Horsted Keynes on Saturday 6 April. The "A" set of carriages was formed of our four Victorian Metropolitan Railway carriages, strengthened if required with the Observation Car. The "B" set was formed of Bulleid and Mk.1 carriages. John Sandys, from the Friday and the Sunday. Derek Hayward has upgraded his album for BR Standard 5MT No.73082 'Camelot'. During the course of the last week, not everything went to plan, with the H-class taking the Q's duty on Wednesday, and the Q on the S15's turn for the day, whilst for two days, as seen in John Sandys' photo below, the "A" set was formed of the Edwardian Stock. Today everything was back to the original plan, with the addition of LCDR 1889-built brake carriage 114 added to the Mets, as seen in John's second photo (more of his photos from today are here). 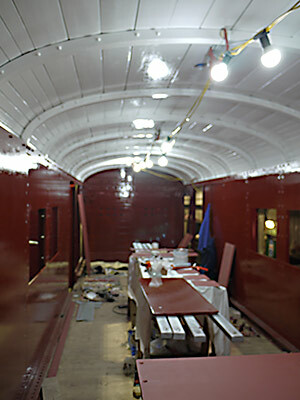 With the GN Saloon on this set over the weekend, we will have a 6-coach varnished teak set running! 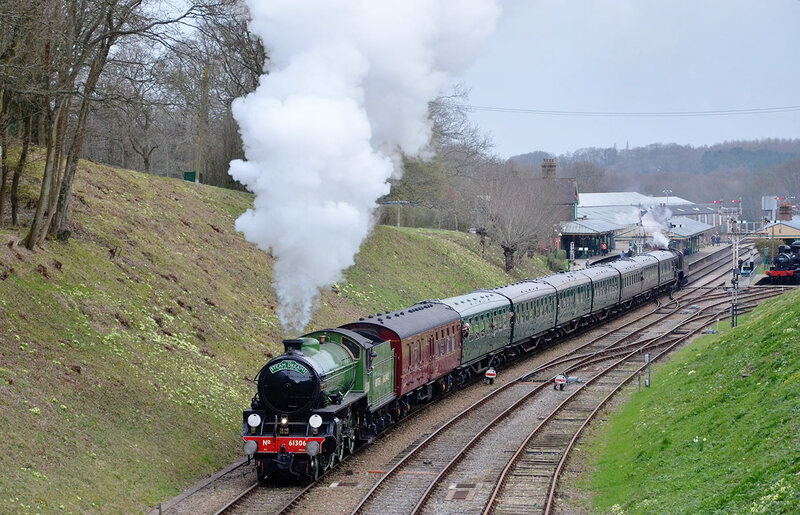 Andrew Crampton's photo shows the departure from Horsted Keynes of the visiting LNER B1 No.61306 'Mayflower', during the return leg of the Bluebell section of Steam Dreams' Railtour on 23 March. This particular train was formed of the locomotive's support carriage plus our 7 Southern Railway corridor carriages, with 847 on the rear, which would return the Bluebell stock once 'Mayflower' and the passengers transferred to the railtour stock, at Kingscote. A full photo report of the visit should be available here soon. 19-22 April - Easter Weekend - Easter Treasure Hunt with small prizes for children who complete the trail - Free entry with an all-day rover ticket - buy your tickets in advance for a discount! (Note this event is now not being run on 18 April). Update to the Loco Roster, covering April, showing what locomotives we currently expect to have in service each day. The Railway needs your help - we're looking for Volunteer Car park attendants for special events. The new cylinders for P-class No.27 have returned from being machined - see the report on the Project 27 BlogSpot. 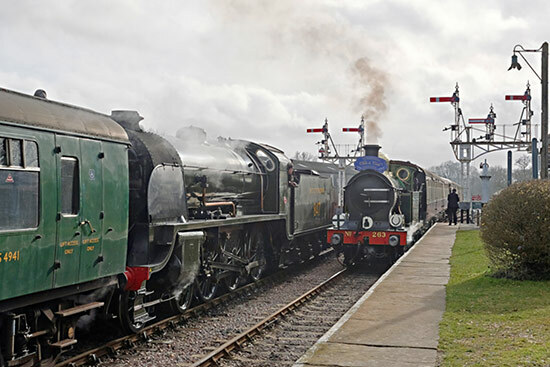 An updated version of the Photo Report from the Branch Line Weekend has been created, with apologies to Andrew Crampton for including the wrong image under his name in the origial version, and adding an additional photo of the visiting locomotives by Steve Lee plus the event summary by our Communications Director, Roger Garman, which reveals that ticket sales were up 30% compared to the same event last year. 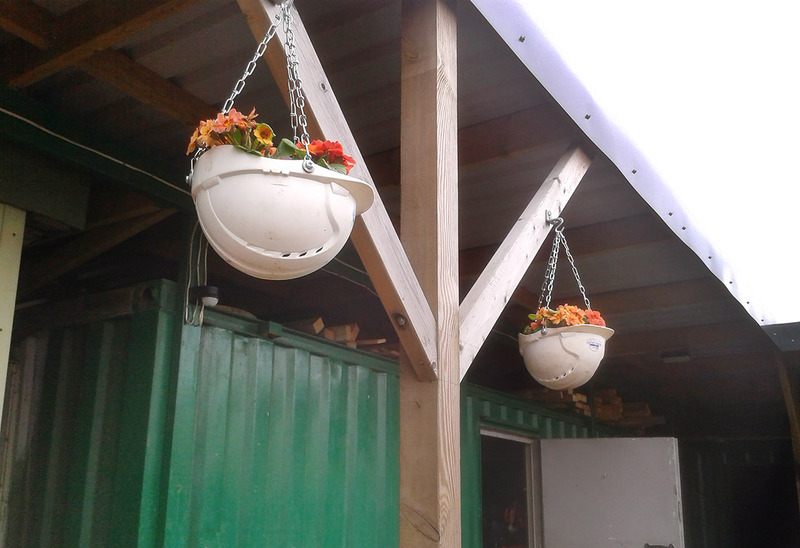 Infrastructure update, with news of work on the carriage shed extension at Horsted Keynes (OP4), work on a set of points at East Grinstead, and a great example of "upcycling" evident outside the infrastructure lobby at Horsted Keynes, as also shown in Bruce Healey's photo below. 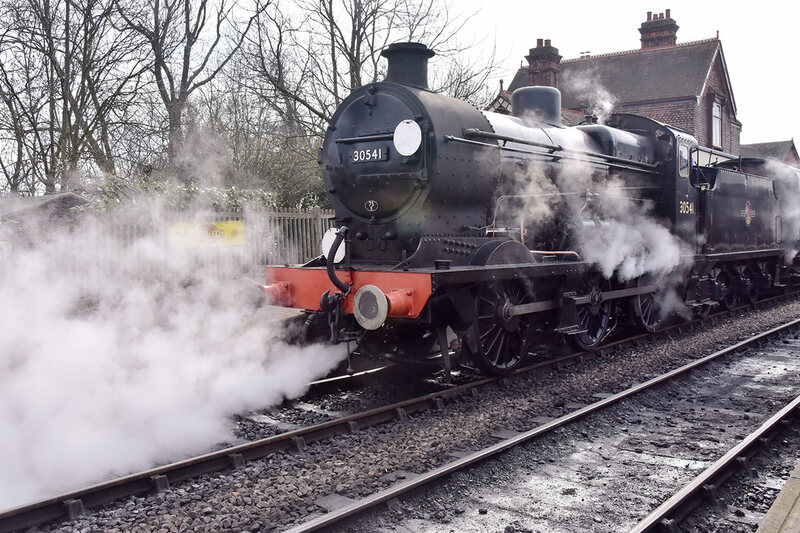 John Sandys' photo below shows the Q-class expelling condensate from its cylinders in preparation for the first train of they day yesterday, which launched our main midweek running season. John has more photos and videos from the day here. During March 2019 there were 47,001 total hits on this page, from 25,544 unique visitors. Sign up for our free e-mail Newsletter - Back issues available via the e-Newsletter archive. 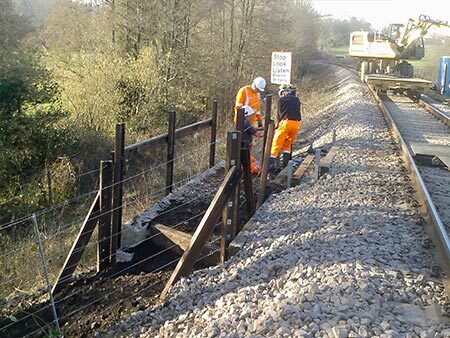 Infrastructure News page - a variety of projects, recorded as they happen around the railway. What's been updated on the Bluebell Web Site? or the 2018, the 2017, the 2016, the 2015, the 2014, the 2013, the 2012, the 2011, the 2010, the 2009, the 2008, the 2007, the 2006, the 2005, the 2004, the 2003, the 2002, the 2001, the 2000, the 1999 and the 1997-8 "What was new" archive pages. The repainting of LSWR Adams Radial Tank No.488 into BR Black as 30583, as it ended its days on the Lyme Regis Branch, has stirred some controversy. However, having carried its previous coat of LSWR Pea-green for over a third of a century, the repaint sponsored by Steam Railway magazine, Heritage Painting and the Bluebell Railway Trust, enabled the scene shown here, with the Bulleid carriages, and will hopefully spur thoughts towards a potential overhaul back to working order. With this likely to cost in the region of half a million pounds, the increased exposure from the event can only be a good thing when the time comes. 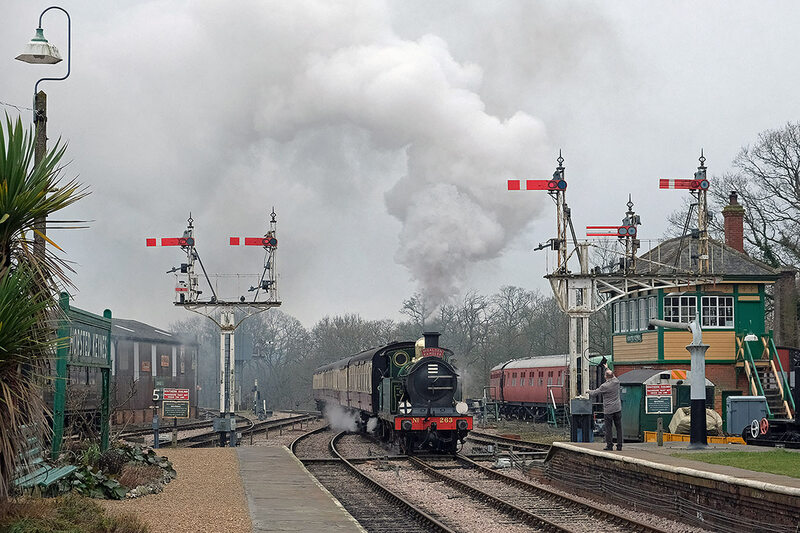 Steve Lee's photo shows the locomotive apparently "in steam" at Horsted Keynes during Monday's photo charter, with thanks to smoke effects and steam heating provided by the Q-class at the other end of the train. A full Photo Report from the Branch Line Weekend is now available here as a pdf. Tomorrow - Saturday 23 March: - 3 Bluebell locos running, plus 'Mayflower' on an incoming Charter from Southend - special timetable due to the Steam Dreams Railtour - Public and non-public train times available here, if you are coming to photograph the incoming tour. 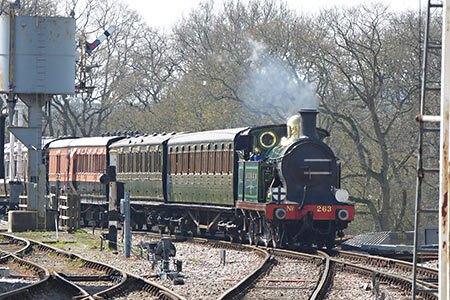 Over £25,000 has now raised and distributed to Bluebell projects by The Bluebell Railway Trust, through EasySearch and EasyFundraising. Below, also from Steve Lee, is a fine portrait of the Maunsell Q-class (just returned to steam after major mechanical maintenance over the winter) North of Vaux End with the four Bulleid carriages (including newly overhauled composite carriage No.5768) on Monday's photo charter. 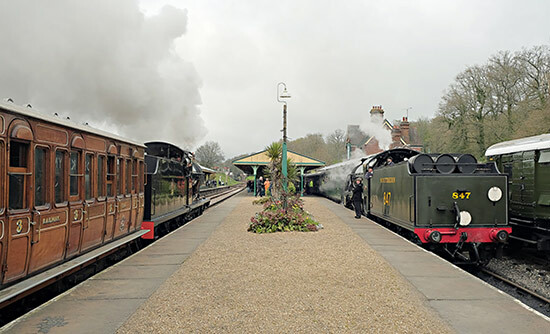 The second photo, from Julian Clark, shows the two 0-4-4Ts, visiting W24 and SECR No.263, leaving Horsted Keynes with the Victorian Metropolitan Railway set. It's the first time for a while that all four Metropolitans have run together; with two of them having been back in service an amazing 20 years now, the set has received some major attention to door locks and brakes. Our three-day Branch Line Weekend got off to a fantastic start yesterday. Julian Clark's photo shows the cavalcade of four ex-LSWR locomotives passing Nobles Bridge on its way to Horsted Keynes. 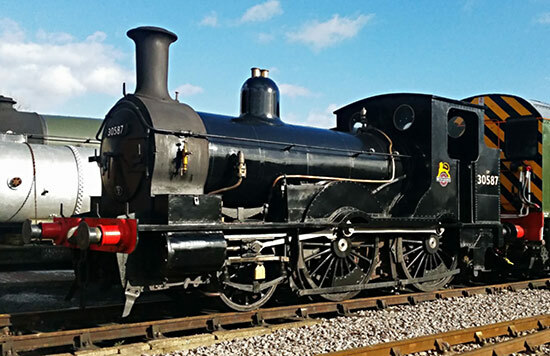 Our resident Adams Radial, No.30583, and B4 No.30096 'Normandy' will be posed for photos at Horsted Keynes for the remaining two days of the weekend. Today and tomorrow we have six locos in action, and a greater variety of trains and loco combinations thereon. Check out the intensive timetable, this key to the carriage sets being used, catering details, and full details of the weekend. 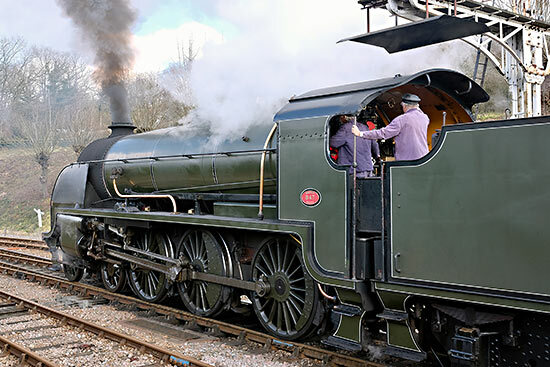 In addition to the many attractions at Horsted Keynes, we have, at Sheffield Park, Atlantic House open - view work on the reconstruction of 32424 'Beachy Head', an information stand for Project 27, the Bulleid Society Shop, our Museum, and the SteamWorks! exhibition. Author James Baldwin will be at the shop there today signing copies of his books on the Brighton Atlantics and the Great Northern Atlantics. Photos and a couple of videos, showing the visiting engines at Sheffield Park, and getting away from Horsted Keynes, from John Sandys. Julian Clark's photo below shows the visiting ex-LSWR engines W24 and 30587 approach New Road Bridge near Horsted Keynes yesterday, with the 09.30 service from Sheffield Park. Jonathan Hughes' photo is from yesterday's evening photo shoot with the two visitors, joined by our newly repainted Adams Radial Tank. John Sandys' photo catches the Isle of Wight O2-class W24 'Calbourne' and Beattie Well Tank No.30587 as they leave Horsted Keynes with the first train of the day today, launching our Branch Line Weekend. 60 years ago today, on Sunday 15 March 1959, a meeting was convened in Haywards Heath by four students, who invited Mr Bernard Holden to take the chair. It was his 50th birthday. The meeting concluded that an attempt should be made to save the line and run a train service upon it. A committee was elected, and the first members of our Society were duly signed up. Tonight a Diamond Anniversary Dinner for BRPS members to celebrate the event was held in East Grinstead. Our guest speaker was Sir Peter Hendy, CBE, chairman of Network Rail, and we also welcomed Cllr Rex Whittaker, East Grinstead Town Mayor. Present tonight, as they had been 50 years ago, were Chris Campbell, one of the students who had called that first meeting, Charles Hudson (who had arrived late, and was thus in position to sign up at the table at the back at the end of the meeting as our first member), and Malcolm Saker who had been sitting towards the front and who, like Charles, is still an active volunteer 60 years on. Martin Lawrence's photo shows both the visiting ex-LSWR engines, W24 'Calbourne' and Beattie Well Tank No.30587, ready for our Branch Line Weekend which starts tomorrow (Friday). Take a look at the timetable - Catering details. 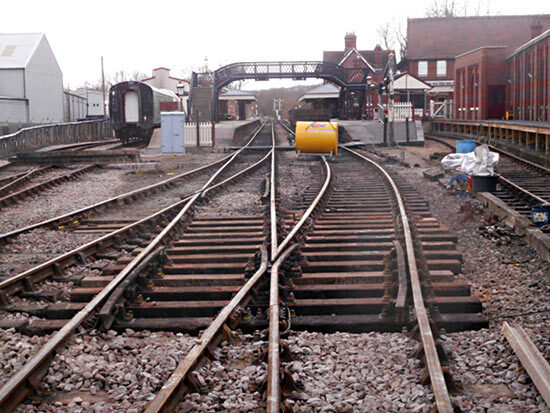 On Saturday and Sunday, with many trains terminating and starting at Horsted Keynes, our former junction will be a hive of activity, with brake van rides, guided tours of the Carriage Workshop, children's play carriage, cinema room, model railway, and extended opening at The Carriage Shop (9am to 6pm all three days). Martin Lawrence's second photo, taken today, shows Bulleid Composite Carriage No.5768, which enters service tomorrow as part of a 4-coach Bulleid set, following its complete rebuild. Its previous period of service on the Bluebell was from 1976 to 1993. We are currently recruiting for a Digital Co-ordinator to work in marketing and business development, and the Catering Department is seeking seasonal staff. 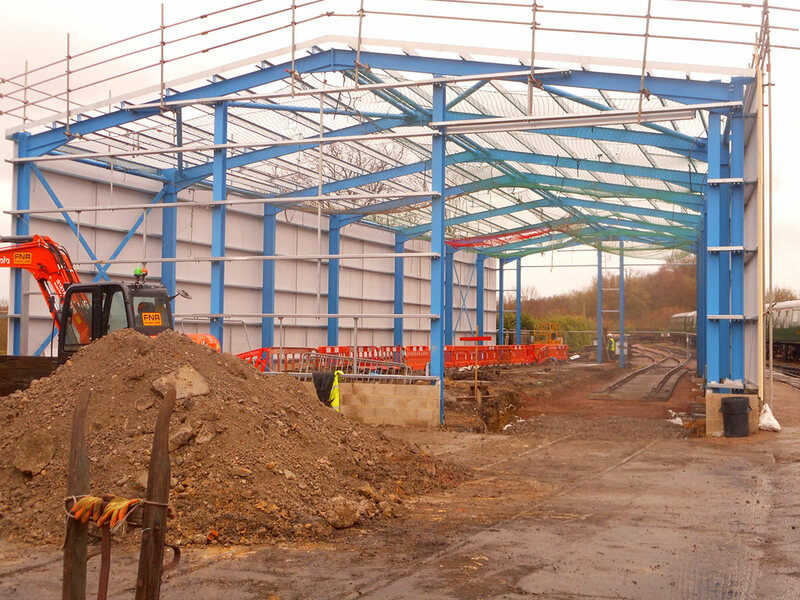 The infrastructure team have been laying yet more track, but this time only a very short section into the new loco maintenance shed at Sheffield Park. 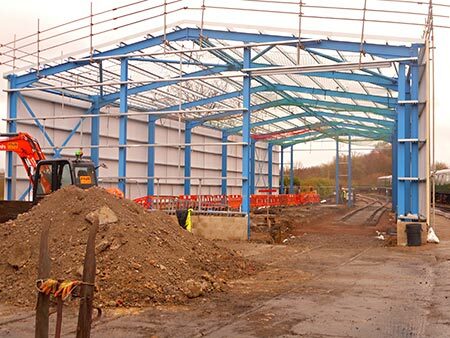 The frame of the shed is complete and the cladding now in place on both the east and west walls. 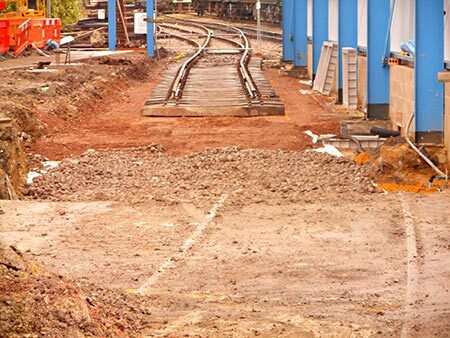 The request to infrastructure turned out to be a little premature as not all of the track bed was ready for track although the team did manage to get about 2/3 of the required track laid last Friday. 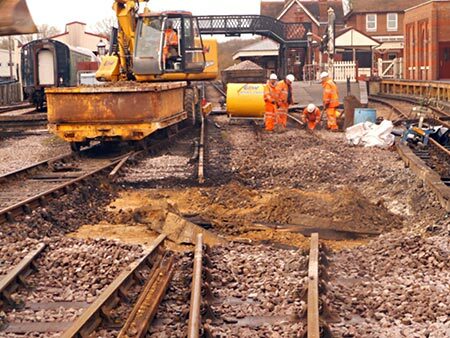 It will be finished ASAP though so that the contractor can concrete the track in place. Unfortunately, due to the position and alignment of the west wall, the new track position will not enable reconnection to the tram road leading out to the top carpark without breaking out a lot of concrete and relaying the curve from a long way back. This is too big a job and expensive for now. The photos below from Jon Goff show the new track progressing through the new loco maintenance shed, yet to be finally aligned. Both of the visiting ex-LSWR locomotives have now arrived, ready for the three-day Branch Line event next weekend. 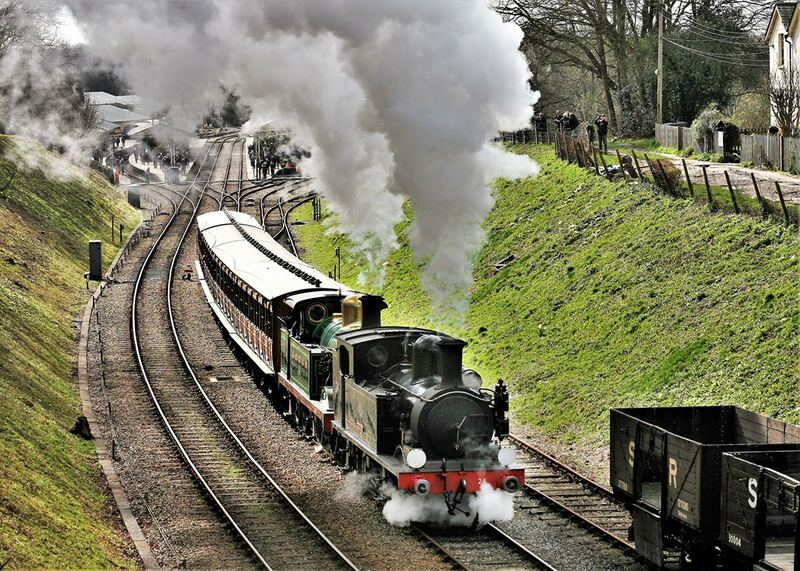 Martin Lawrence's photo shows the NRM's Beattie Well Tank at Sheffield Park yesterday. The O2 from the Isle of Wight arrived today. 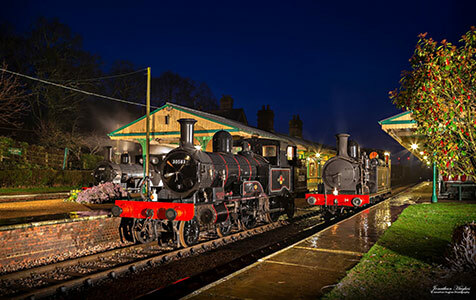 Cavalcade with all four ex-LSWR locomotives (Friday) and photo opportunities. Brake Van Rides at Horsted Keynes on the Saturday and Sunday. Our South Eastern & Chatham Railway P-Class locomotive No.323 'Bluebell' has sadly been withdrawn from service with immediate effect. 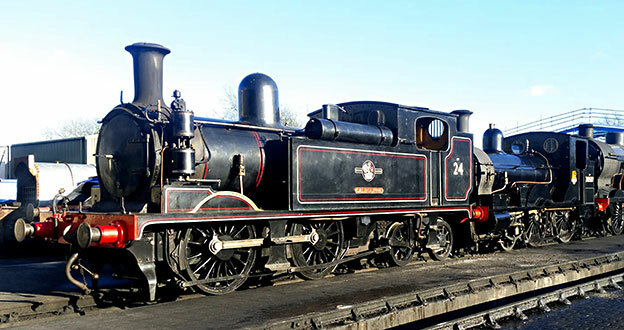 For an engine of her size she has worked extremely hard since returning to service in 2011 and now requires a full overhaul before she can steam again. 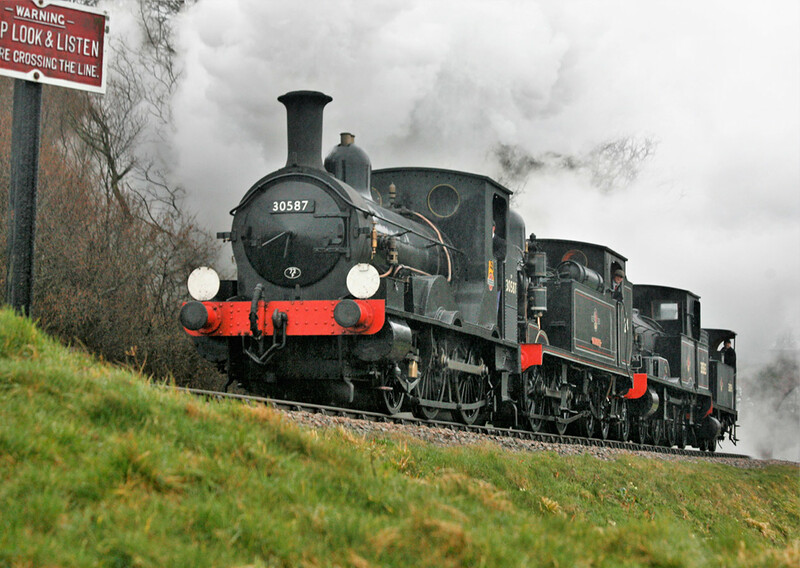 Proving popular amongst our visitors, she has also flown the 'Bluebell' flag, spending time away at other railways too. This does also mean 'Bluebell' will not be appearing at our upcoming Branch Line Weekend as originally planned and we've therefore release an updated Branch Line Weekend timetable. 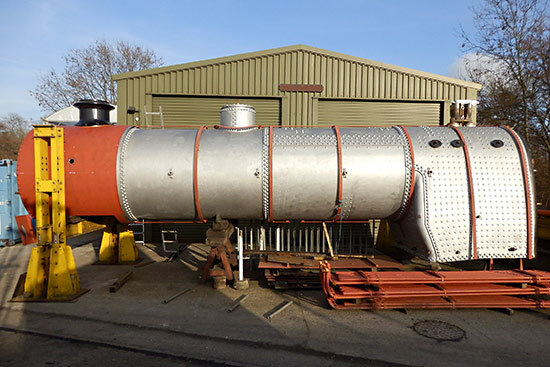 With just two years remaining of its maximum 10-year certificate, its annual boiler examination revealed the need for major boiler work. Having now run 87,000 miles on the Bluebell it will also require major mechanical work before it next returns to service. In the interim it will normally be on display at Sheffield Park. Derek Hayward's upgrades to his locomotive photographic collections continue. The latest include S15 No.847, a timely update for that for P-class 323 'Bluebell' and SECR H-class No.263. The work on the 7B points at Sheffield Park described in the last update has continued this week, and Jon Goff's report, here, as of mid-week, shows the excavation and then relayed track, including the discovery of why the formation was getting waterlogged. 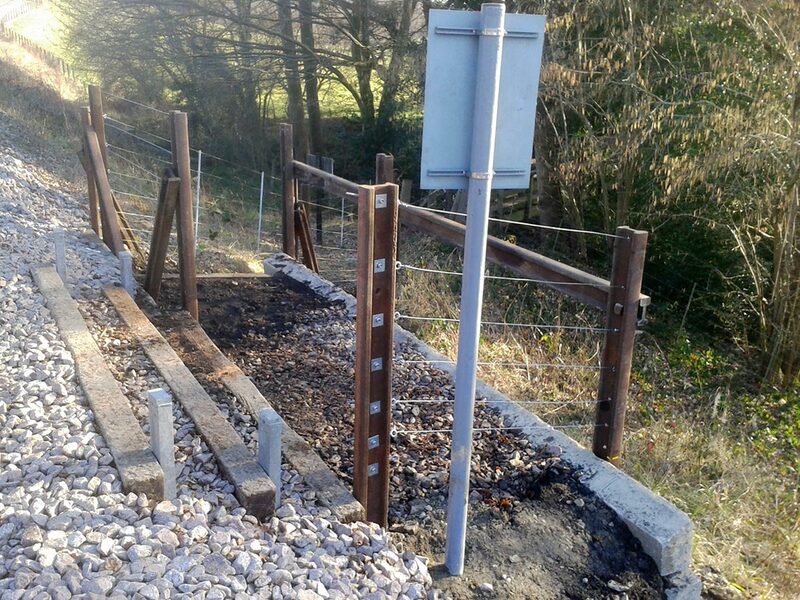 His photo on the right shows everything connected up, with the new crossing timbers (and unseen beneath, new drainage and waterproof layer), but yet to be fully ballasted, as of Wednesday evening. Our Accessibility information is now presented formally in one place. John Sandys provides photos from today at Sheffield Park, and also from Wednesday. Wednesday's include distant photos of Mk.1 Open First (FO) No.3069, which has arrived on loan to us after receiving a comprehensive overhaul. It now awaits commissioning into service. 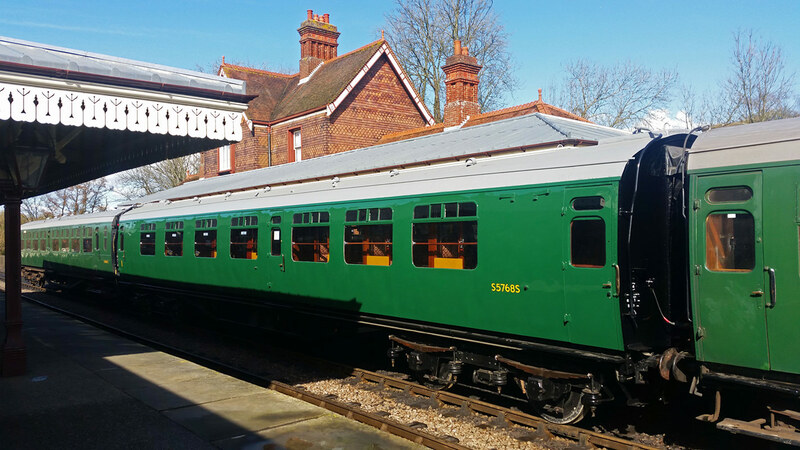 In recent years we have used an FO (3064 Ashdown) in both the Wealden Rambler train and to provide additional seating in the Pullman train, which has involved a lot of shunting and general inconvenience, particularly when both trains run on the same day. Until such point as we have sufficient operational Pullmans to run an all-Pullman dining train, this second FO has been made available to us to prevent those issues, and has been painted in a BR(W) scheme to fit in with the Pullman set. Like 3064, it was built in 1955 for the Southern Region's Ocean Liner Express service. 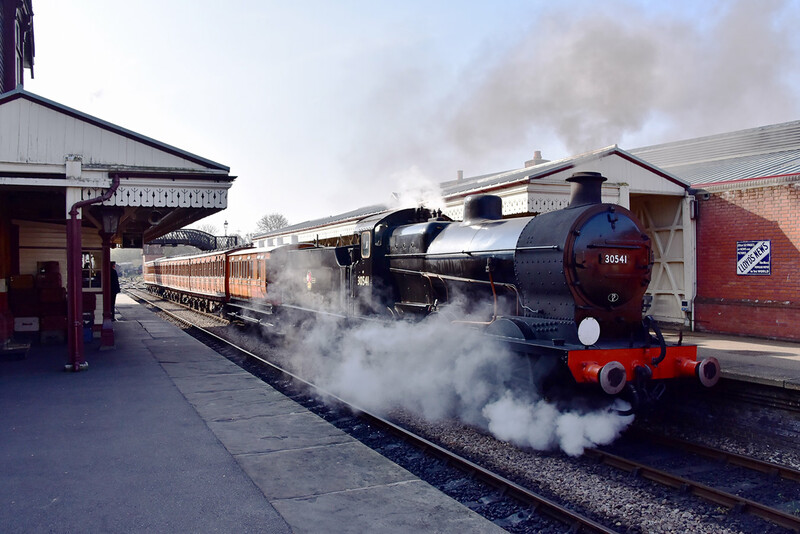 Brian Lacey's photo shows H-class No.263 arriving at Horsted Keynes with the Wealden Rambler set, which was forming the train for a wedding reception on Saturday, as the S15, No.847 waits patiently for the chance to depart with the 2:55 to Sheffield Park. More dates added, in May, for our sell-out Footplate Tasters. 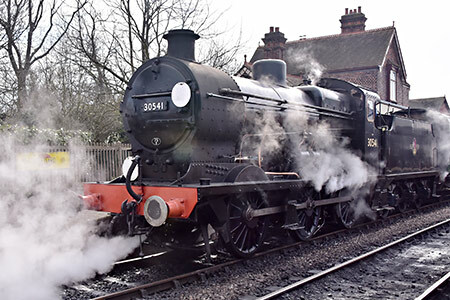 The Spa Valley Railway, Tunbridge Wells, Kent will run a special train named "The Roy Belle" on Tuesday the 30 April 2019 in memory of Roy Bell MBE who sadly died on 18 October 2018. A very respected career railwayman who held senior positions on the Southern and London Midland, in addition to his involvement on the Spa Valley, he was also a Bluebell member and provided financial support for Kingscote Signal Box. 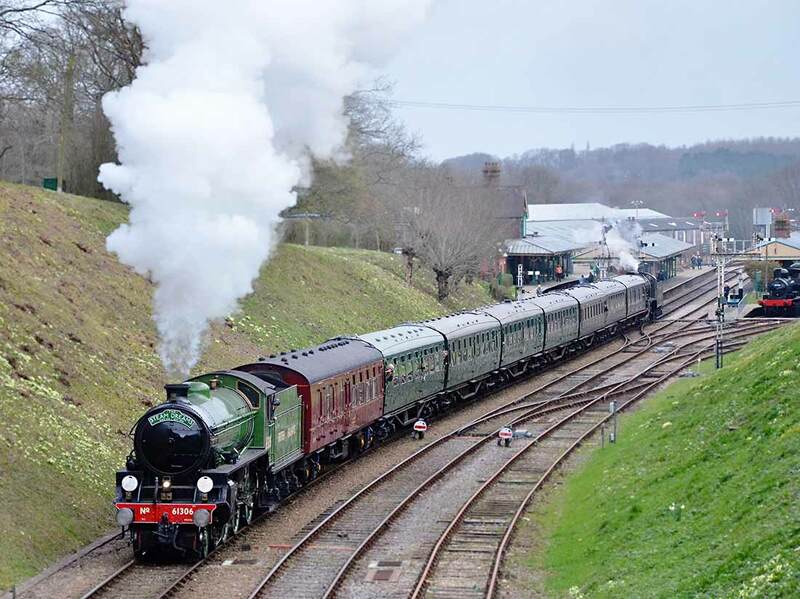 See details here for the Spa Valley's Special Train. During February 2019 there were 38,374 total hits on this page, from 21,921 unique visitors. In November, due to time restrictions, only the centre section of 7B points had its timbers replaced as seen on the Infrastructure News reports for 24 & 29 November 2018. The old softwood timbers were life expired and so are the timbers under the crossing nose. Therefore we are correcting this before the full weekday running season begins. In addition we are lifting and putting in drainage for the 60' panel from road 1 which has been slowly sinking into the mud. The pictures below show the progress at the end of the first day with the rails pulled out and the base under the crossing nose almost dug out. The first picture was taken standing on the section renewed in November. Unfortunately an old monument had to come out as two 20' long timbers that need to be replaced were sitting one on either side of it. 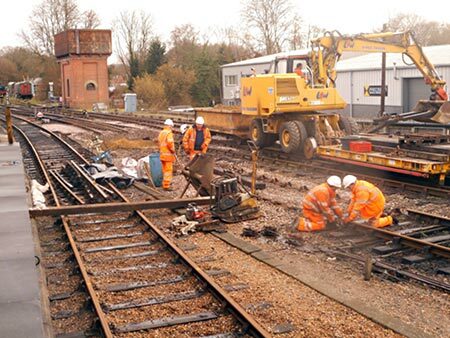 In addition, Jon Goff provides a full report on this winter's track relaying projects (available to view/download as a PDF). This is an enalarged and updated version compared to that provided on 14 January. For a number of years the Wednesday Gang (lineside management) has been split into 2 teams. 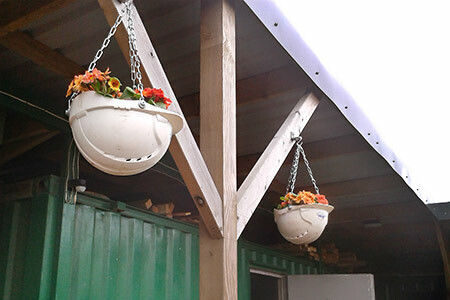 WG(South) is currently working in the Lindfield Wood area, while, in recent weeks, WG(North) has been working between Black Hut and the south entrance to the tunnel. Brian Kidman's photo, taken on Wednesday of last week, shows the 12.30 train from East Grinstead passing the gang as it exits the tunnel. 23 March: Due to the incoming Steam Dreams Railtour, expected to be hauled by London & North Eastern Railway B1-class locomotive No.61306 Mayflower, a special timetable will operate on this day, to accomodate both the incoming train's timings, and offer its participants their own reserved Bluebell Railway train. As of earlier this week, there were four places available (due to cancellations) at the Society's 60th Anniversary Dinner (details here). 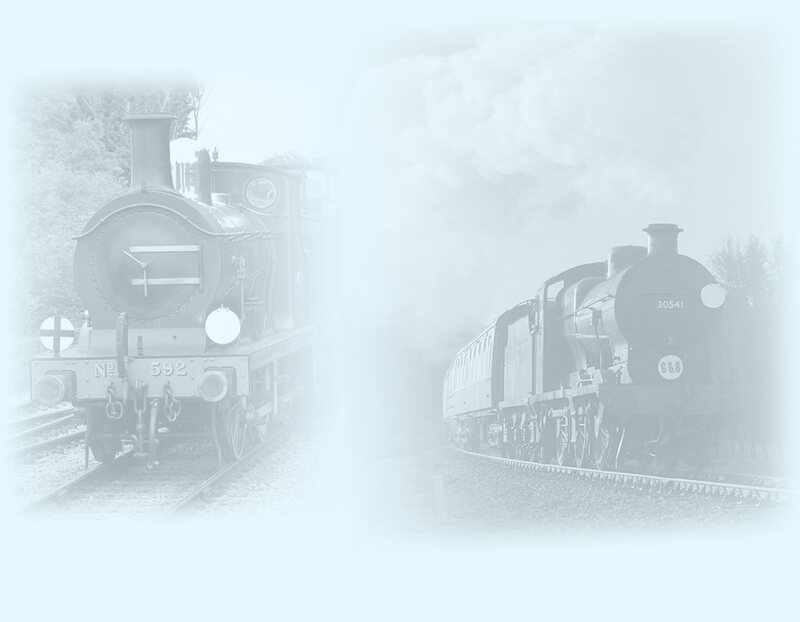 Anyone interested should email robert(dot)hayward(a)bluebell-railway.co.uk asap. Another update on the Brighton Atlantic project, with thanks to Fred Bailey. 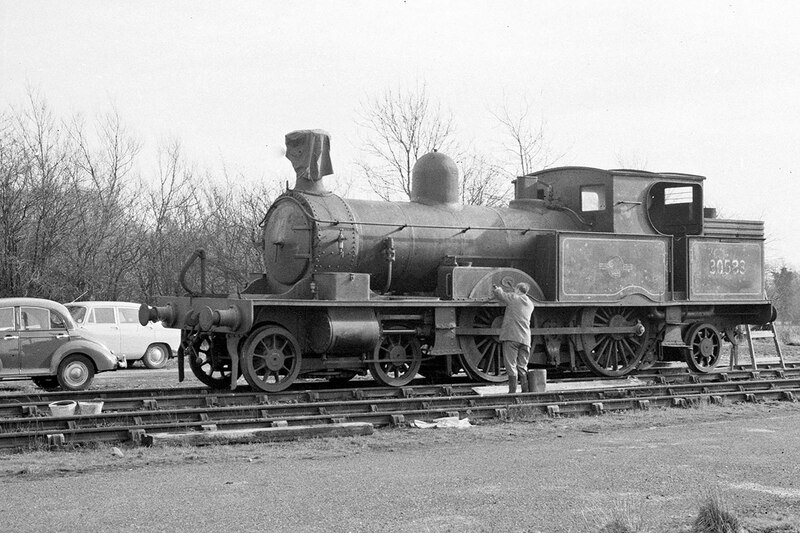 His photo here shows the boiler with the smokebox initially supported on one of the lifting frames, which were originally made to lift the loco chassis, whilst the holes are drilled to fix these two components. Updates, thanks to additional historic photos from Ian Nolan, to the main web page for the Adams Radial Tank, and also the pages for Maunsell Nondescript Brakes 4441 and 4444. The Adams Radial Tank features heavily in the latest issue of Steam Railway magazine, including the front cover, editorial, as well as a further 9 pages inside, and is considered one of the stars of the forthcoming 15-17 March Branch Line Weekend. A small update, with photos below, thanks to Bruce Healey and Matt Crawford. 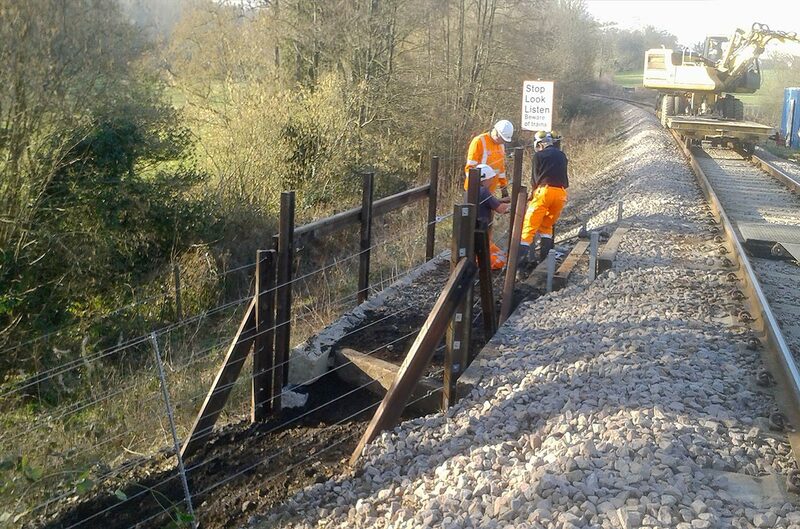 Infrastructure have been working on the west side of Tremains crossing this week. At close of play yesterday (Wednesday) the work is nearly complete with only a few more fence wires to put in which was expected to happen today. There will have to be a later visit to retension the fence wires. The following report is by Julian Heinemann of the 73082 Camelot Locomotive Society, who visited Horsted Keynes last Saturday to view progress on the Society's CCT (Covered Carriage Truck) No.2531 and took the accompanying photos. 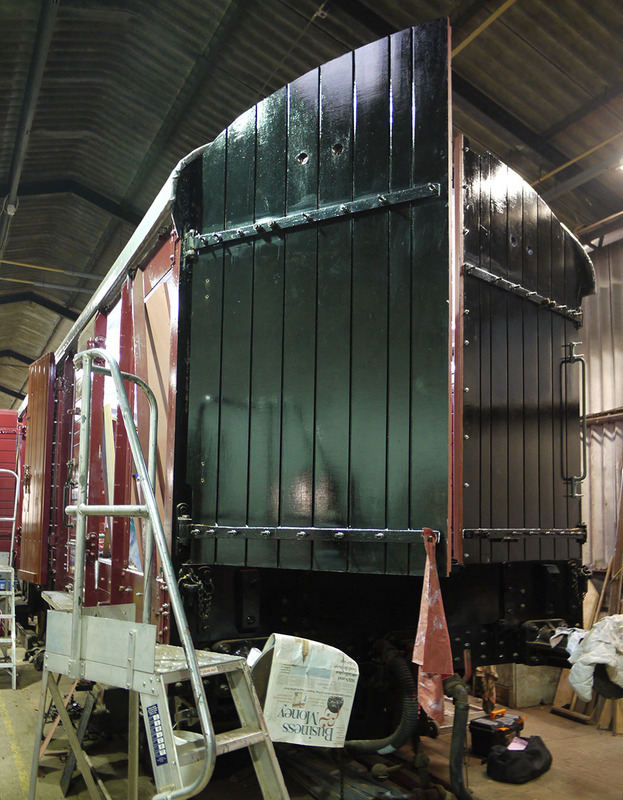 Rapid progress towards completion is being made by the team restoring the Society's van at Horsted Keynes. The most noticeable external difference, has been the re-fitting of the restored large north and south end opening doors. Almost all the new plywood side sheets have been trial fitted, taken down for painting, and then re-attached permanently. 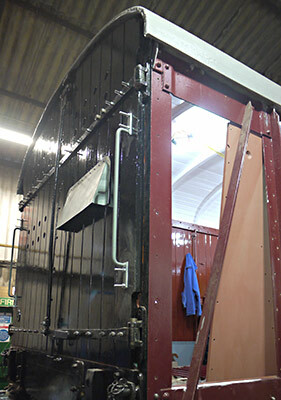 As of 16th February only the 'bays' between the side doors and the corner posts were still to fitted. With the Society's desire to see this 1955 built van restored as authentically as possible, the interior is now painted in brown. Consequently it will be much gloomier inside, compared to the BR light grey painted walls that it had when we acquired it from BR! 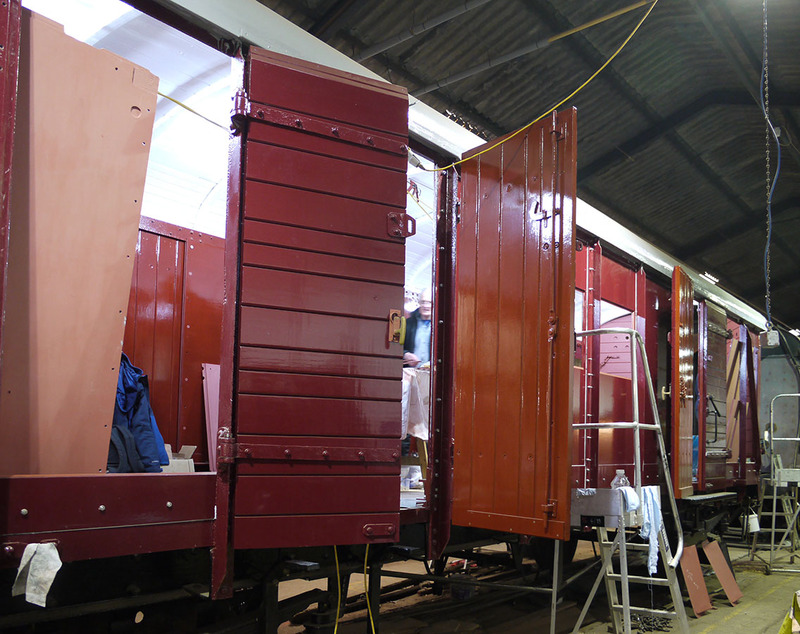 New long interior wooden side rails, which protect the windows from being damaged have been made up. Work was also progressing on new wooden bases for the externally mounted oval chalk boards. Simultaneously, a multitude of fittings from all around the van are starting to go back on. On the chassis three replacement step brackets and step-boards are now in place, BR having removed them at some point. Whilst work has been heavily focused on the body, one should not forget that there is still the need to deal with the mechanicals, which is usually done at the end of the restoration programme. This work will include lifting the CCT on the jacks to drop out the two wheelsets for attention, overhauling the axle-boxes, brake testing, checking the suspension/buffing gear, adjusting the ride height, and completing a fitness to run exam - so there's still a little way to go before it's a 'runner'! As ever, the 73082 Camelot Locomotive Society extends its grateful thanks to all those involved, for their dedication and skills. 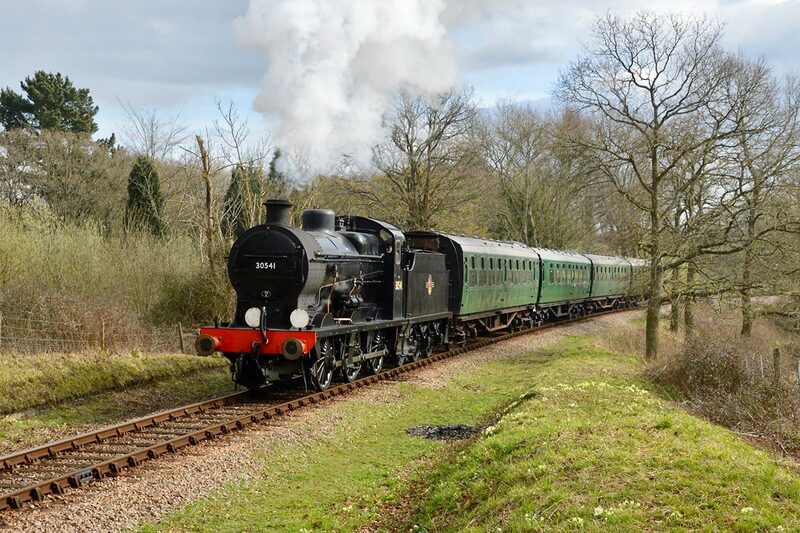 Brian Lacey's photo from today shows the S15 departing from Horsted Keynes with the 1.47 service to East Grinstead. Special weekend dining offer! Treat yourself or a loved one on this Saturday's Wealden Rambler Afternoon Tea Service for just £39* per person. Served in our vintage 1950s lounge car service will be a superb range of exquisite sandwiches, mouthwatering cakes and pastries, delicious warm scones and your choice of unlimited coffee or tea from our extensive selection. 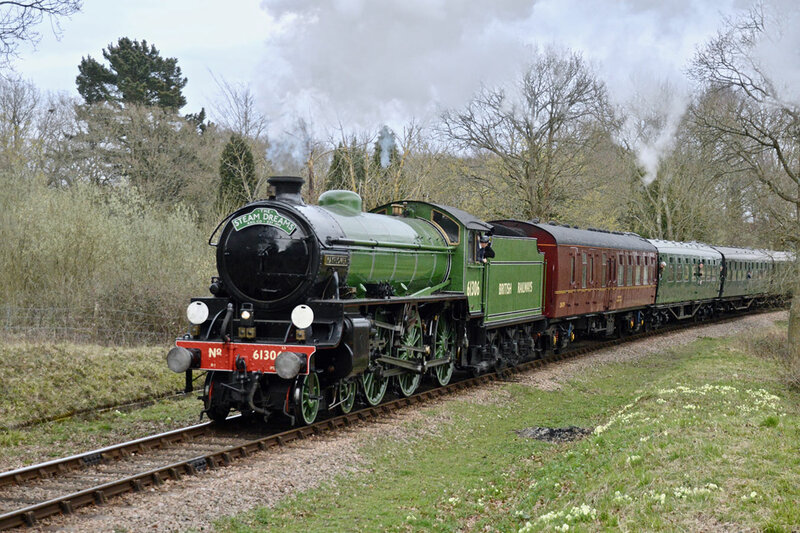 The services departs from Sheffield Park Station at 14.45 and takes in the beautiful rolling Sussex countryside on its leisurely 1 & 3/4 hour journey. Book now. * Special price for Sat 23 Feb only and must be booked by 23.59 on Fri 22 Feb 2019. Tickets allow travel on other Bluebell trains that day too. John Sandys' album from today, a lovely Spring day, with lots of happy faces from the half-term holidaymakers. 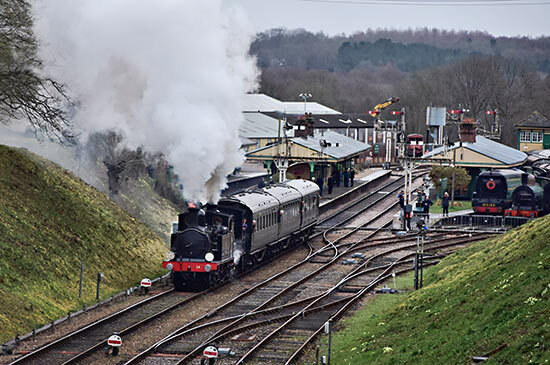 Peter Edwards' photo shows Southern S15 No.847 climbing Freshfield bank with the 11.30am train from Sheffield Park on Sunday 17 February. 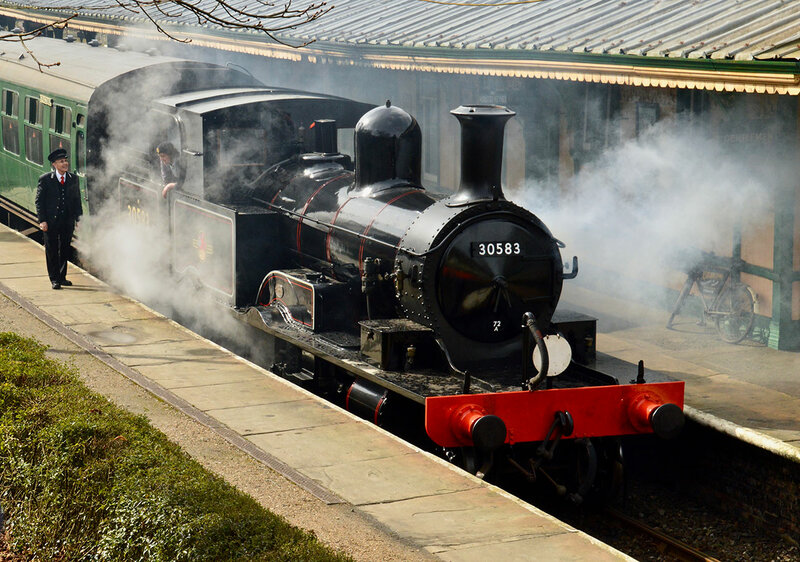 Half term steam: Our new Service Two timetable will be operating every day until Sunday 24th February, with 4 return trains from Sheffield Park each day at 9:30am, 11:30am, 1:30pm & 3.30pm. 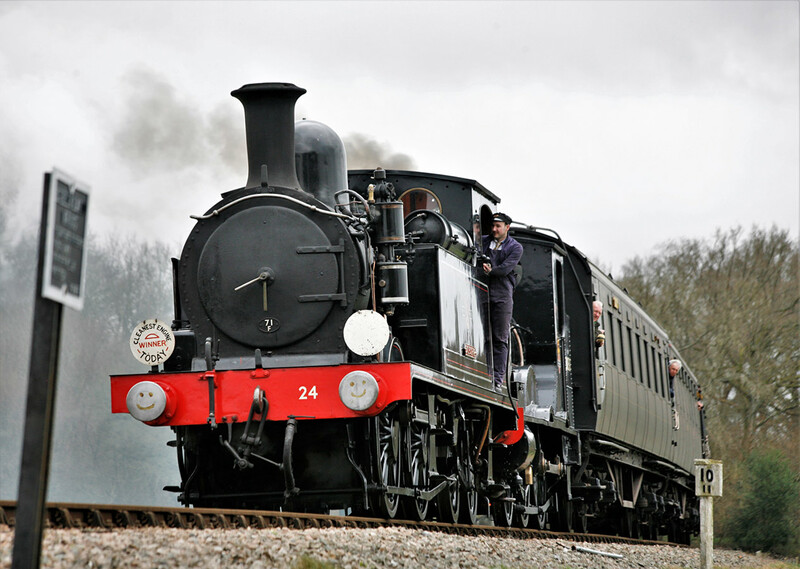 Trains depart from East Grinstead at 10:30am, 12:30pm, 2:30pm & 4:30pm. £5 discount on online purchase of Family Tickets for Half Term. We're running free challenges and games in our SteamWorks! exhibition on platform one at Sheffield Park every day this week. Pick up a museum trail sheet as you enter SteamWorks! and hand in to a SteamWorks! explainer to claim your prize. Access to Horsted Keynes Station, Thursday 21 February: Station Approach will be closed for road repairs between the junction with Cinder Hill Lane and the entrance to the station. Therefore the only access to the station will be from the Ardingly to Haywards Heath road via Hammingden Lane and under the low bridge to the south of the station. Signs warning of these roadworks were only put out along the road yesterday. Visitors approaching from the east may therefore find it more convenient to drive to Sheffield Park rather than Horsted Keynes. Note also that Lindfield High Street is closed for resurfacing until 1st March. The timetables are now available for our 15-17 March Branch Line Weekend featuring visiting London & South Western Railway engines W24 'Calbourne' and Beattie Well Tank 30587. Showcase of the BR-era in the South West, with our own Adams Radial Tank 30583 and B4 30096 'Normandy' both specially re-liveried for the event to match the two visitors. Update to the Loco Roster, covering February and March, which also includes details of the three visiting engines during March. John Sandys' photo album from Saturday, and a few photos and 2 videos from last Wednesday's shunt. Derek Hayward has upgraded more of his photo galleries, featuring Q-class 30541, mainly taken since it re-entered service in 2015, and O1-class No.65. The first photo below, by Brian Lacey, shows the H-class with Saturday's Wealden Rambler Afternoon Tea train at Horsted Keynes. Ian Nolan's photo shows the Adams Radial Tank as it was on 11 Februray 1962, rubbed down ready for repainting, revealing the remains of the BR livery which had been hastily over-painted immediately upon the locomotive's arrival the previous summer. More of Ian's photos of 488 are available here. Sign up for our free e-mail Newsletter - Back issues available via the eNewsletter archive.